God knows what He's doing. Often times, we go through life questioning..
God knows what He’s doing. Often times, we go through life questioning why certain things happen in the order that they do. But we must remember, that when we have given our life to God, we’ll stop worrying and start trusting Him in all things. He will never make a move in your life that will not be for your good. Sometimes we may not agree with what is going on but we have to rest in knowing that God will never make a mistake. So be careful trying to do things without consulting Him. God knows everything and He will always reign over all things. 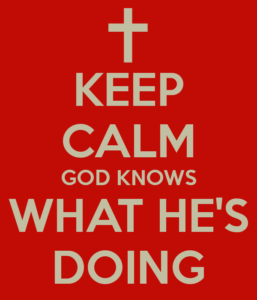 God knows what He’s doing but the real question is are you trusting Him to do it? I pray you will continue to surrender all things to Him. So that He has complete control over every aspect of your life. Trusting Him will always be one of your best choices. Have a blessed Sunday. Take care, stay encouraged and God bless you my encouragers.